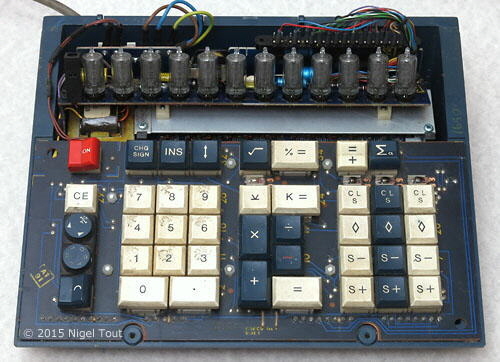 12 digits display using "Nixie"-type tubes. 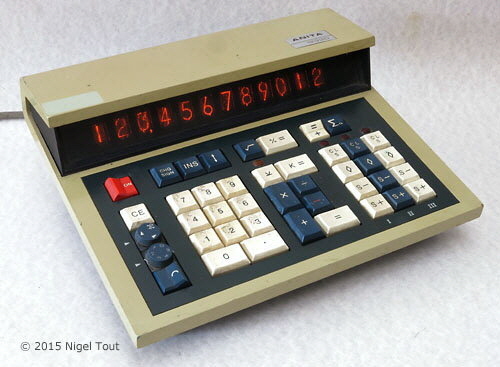 4-functions, %, square root, 3 memories. 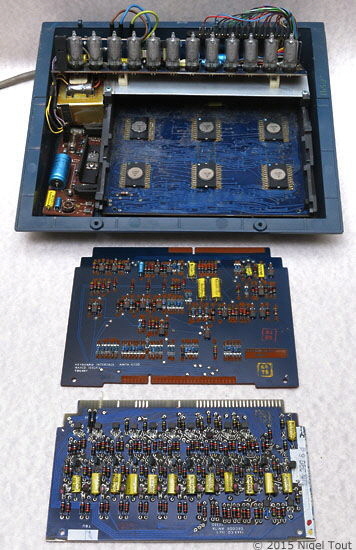 Uses LSI (Large Scale Integration) integrated circuits manufactured by Rockwell. 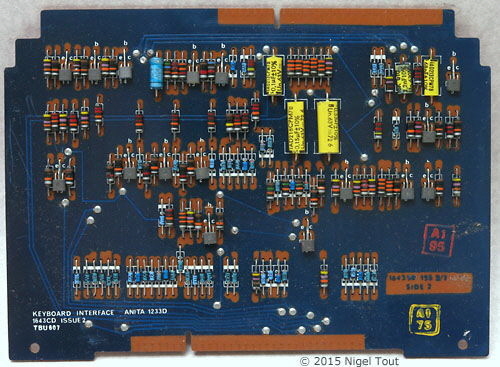 Made in England by Sumlock Anita Electronics Ltd, distributed by Sumlock Comptometer Ltd. 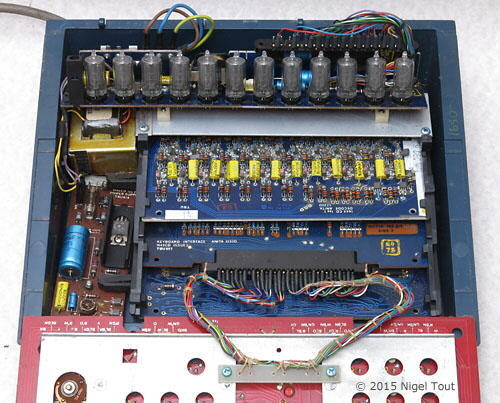 Inside, showing the 12 "Nixie-type" display tubes. 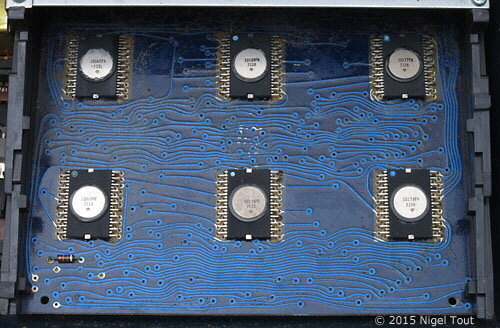 Underneath the keyboard are the three main circuit boards. 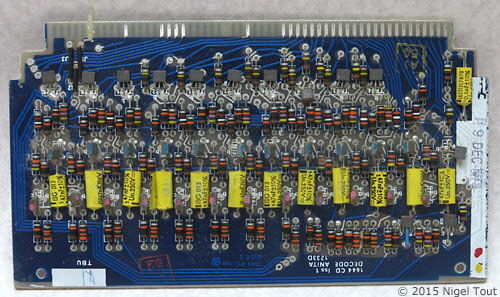 The main processing board with six Rockwell integrated circuits.